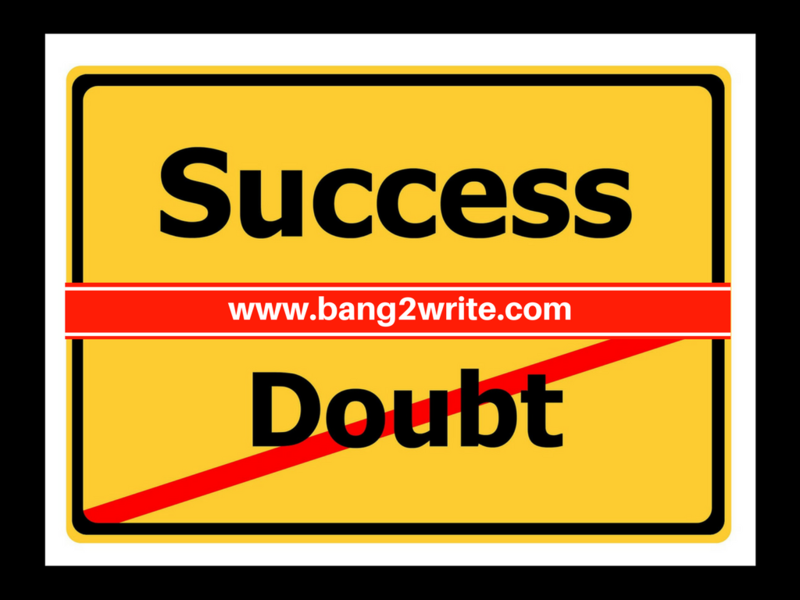 If you’re a member of Bang2writers on Facebook, you’ll know the importance of your peers having your back … Especially when the DREADED DOUBT strikes! (And if you haven’t joined?? Click the link NOW — it’s free!). Sometimes, when I’m feeling the twinge (or sledgehammer!) of self-doubt, I feed my inspiration by checking out the most UNLIKELY projects that ever got greenlit. “A tornado full of sharks?? WHY NOT!” Someone must have said. And you know what, everyone’s heard of SHARKNADO, regardless of whether they’ve actually watched it or not. Then let’s not forget just about everything Nic Cage has done in the last ten years including Ghost Rider 2 … This movie was backed by Marvel, yet was so odd I really thought it was a chemo-induced hallucination. Nic Cage catches on fire! Idris Elba turns to dust! That’s pretty much it for two hours! I described it on Twitter recently, only for one Tweep to obligingly say, ‘Oh no, that really is a movie.’ Huh. It works for books, too. Today I was afraid my new novel was going to work, so I Googled ‘Weird Books’. Mental Floss duly obliged with a whopping 39 Book That Really Exist including How To Poo On A Date; Does God Speak Through Cats? (the answer is YES, obviously); and my personal favourite, How To Survive A Garden Gnome Attack: What To Do When The Garden Warriors Strike (And They Will). NEWSFLASH: no writer is simply ‘lucky’. Everyone on earth, including your favourite writer/s, has FAILED. And the more successful someone is? The more EPICALLY they have failed somewhere down the line to get where they are today. We’re talking such bad failure, most of us would scratch off our own skin and then crawl into a fire ant nest and welcome THE PAIN of a katrillion sting-bites for all eternity. But no, they kept going. Because there is no alternative. But hey, don’t believe me. Read about these famous failing writers. SUMMING UP: Everyone fails. You might not fail, but you definitely will if you let self doubt kill your efforts. DYK? Self doubt is a rite of passage for all writers. Or at least, all GOOD ones. Yes, even the multi-multi-famous bestselling/produced ones. 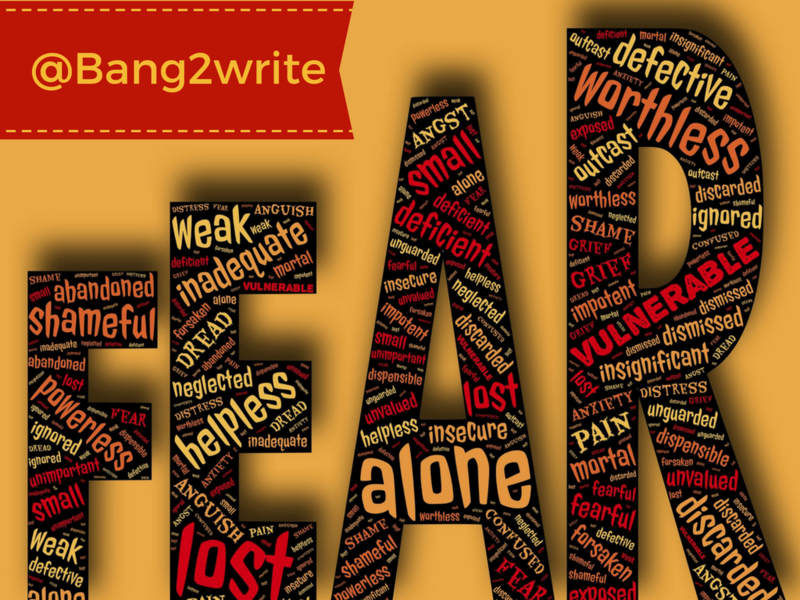 Very often Bang2writers will come to me, crushed by self doubt and the fear that their efforts will come to nothing. They’ll say they feel guilty, especially if they have young children. They will confess to fearing on ‘missing out’ – or worse, their kids missing out – if they don’t succeed … Their time away from the kids will have been ‘wasted’. WHOA THERE NELLY. First off, even if you’re a parent, every Mum or Dad (or step-parent, guardian or something else) deserves time to themselves. Why shouldn’t that be writing or filmmaking! Secondly, what is ‘success’? Making lots of money? Hah – good luck. Getting something published or produced? Okay, but then we can self publish too, or make stuff ourselves – we don’t need to be ‘picked’. Getting the damn thing FINISHED? Yes, why not. Lots of people say they’ll write something and never get round to it. You are not wasting your time. You have a right to this, so do it! 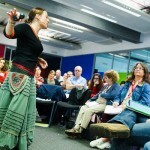 SUMMING UP: You want your kids to follow their dreams? Then lead by example and follow yours. Notice I include reading as ‘writing time’. This is because B2W believes your best writing is done by THINKING. That’s why sitting in front of the laptop freaking out won’t work. But more than any of this, you have to have the guts to FINISH. I see so many writers procrastinating by returning to their spec screenplays and unpublished novels again and again, rather than move forward. This stops them advancing in their craft AND careers. Awwww.